Rihianna has been everywhere in 2015! It has been hard to listen to the radio, watch television, music award shows, or any social media outlet without seeing her somewhere at some point appearing on it and stealing the show. The first dramatic appearence that Rihanna made in 2015 was a song she featured in with legend, Paul McCartney and Kanye West. They collaborted on a song, “Four five seconds” and who has not heard it?! It’s an acoustic based song played by Paul McCartney, with a modern day rock rap style sung by Rihanna and Kanye West. Most people found it odd in the beinning but has warmed up and became no. 1 for weeks in a row! 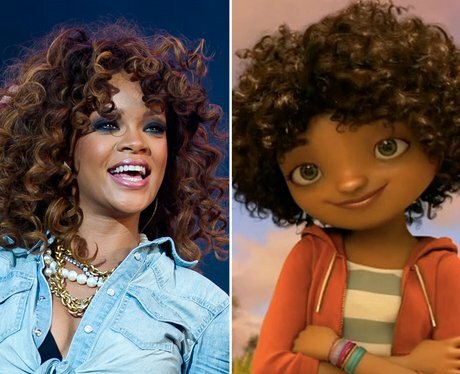 Next, in 2015, I saw that Rihanna was the voice behind the family film of the year, “Home”. The movie has received great reveiws and Rihanna is the star. Lastly and most recently, Rihanna has just released a song called, “American Oxygen” which will take the world by storm in just a few weeks. It is a very patriotic song that is sure to relate to many people in America and also around the rest of the word. The video shows people over coming historical problems that we have faced and the rights we have fought to earn. It will be inspiring to many people. April 24, 2015 in Entertainment, music. Big Sean came to Bloomsburg! ← Big Sean came to Bloomsburg!